The sweeping desert vista of the annual Coachella Valley Music and Arts Festival -- recently expanded from one three-day weekend to two -- has been home to numerous high-profile comebacks over the years. The Pixies, Pavement, My Bloody Valentine, Rage Against the Machine and Roxy Music are just a few of the bands that have reunited at Coachella since its inception in 1999, and it's become such a common practice that predicting potential reunions at each year's gathering has became a popular sport each spring. Which bands may be in the cards for this year? Here's our wishlist of 5 Bands We'd Like to See Reunite At Coachella 2013. This year marks the 25th anniversary of the formation of British shoegaze legends Ride, and such milestones are always fodder for reunion rumors. The Coachella 2013 stage is as good a place as any for a live comeback, but are ex-Ride singer Andy Bell and his former mates game? "Never say never," Bell told Drowned In Sound last year. "We’re all pretty busy with what we’re doing, but it would be a shame if we never got to play those songs one more time." It would be a shame, indeed. Husker Du came to a monumentally messy end in 1987, as former frontman Bob Mould detailed in his 2011 memoir, 'See a Little Light.' But that's all water under the bridge, so is there a chance for comeback? "None whatsoever," Mould told Billboard last year. "To me, that's just best left where it is." Sounded unlikely, to put it mildly -- but Mould later changed his tune slightly when Foo Fighters frontman Dave Grohl became involved. "It’s almost like you’re not allowed not to get back together," ex-Slowdive frontman Neil Halstead told MTV Hive last summer when asked about the chances of a Slowdive reunion. "So, I’m sure that we will get back together — because we won’t be allowed not to.” With those words, shoegaze fans everywhere rejoiced. With any luck, the bookers at Coachella did, too. Sure, why not? With all the hype currently surrounding a Postal Service reunion, it may be now or never. While Ben Gibbard clearly ruled out recording a second Postal Service album with producer Jimmy Tamborello (aka DNTL), an onstage comeback at this year's Coachella seems to possibly be in the cards. That's the rumor anyway -- and when it comes to Coachella, where there is smoke, there's often fire. What Coachella Reunions Would You Like to See? 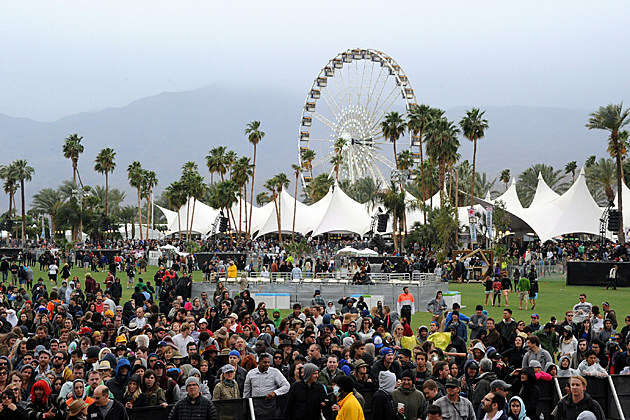 Hit us up in the comments and let us know what bands you'd like to see reunite for Coachella 2013.